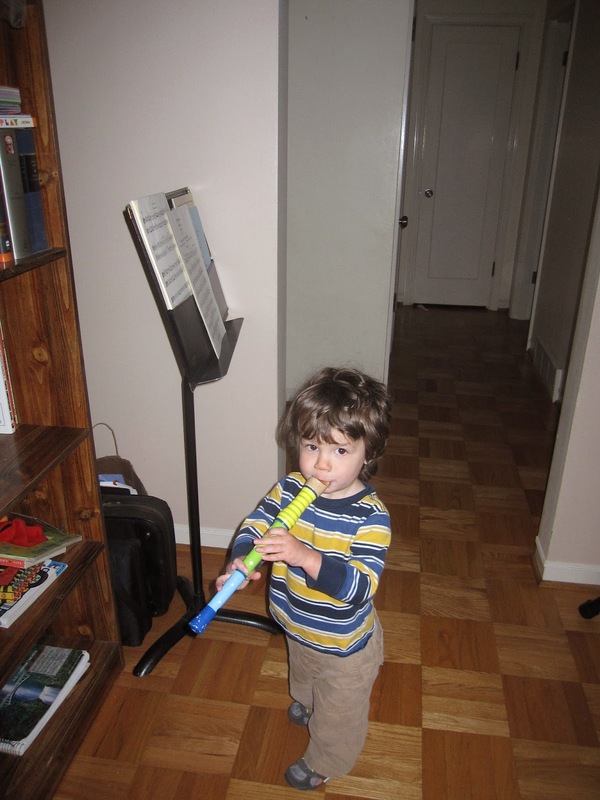 Malcolm found the recorder while digging through some stored toys the yesterday. We brought it upstairs while waiting for Gareth to finish getting ready for school and he immediately walked over to my music stand and said, "elp! elp!". So I opened up my orchestra folder and pulled out some music for him to play. The result was very cute, though as soon as I tried to take a picture he stopped looking at the music. 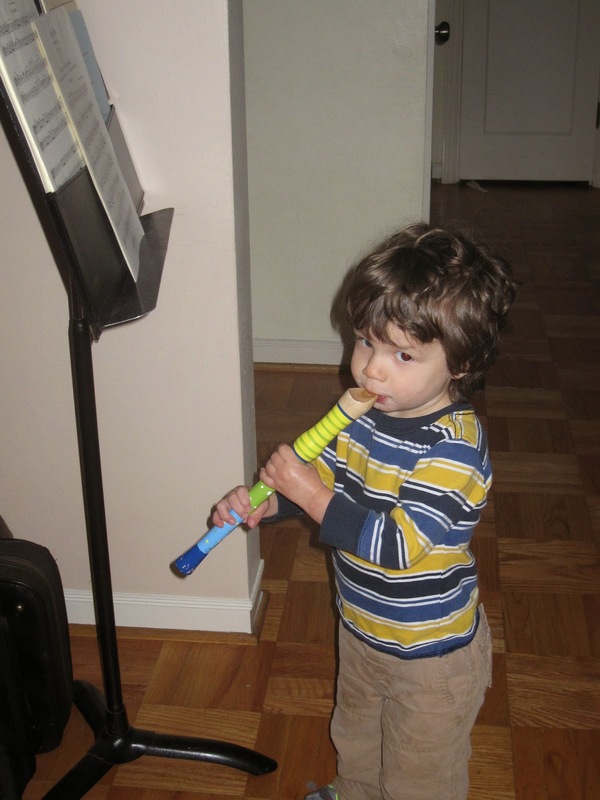 He played on the recorder for a bit and when he paused I asked him if he had played the music. "Yeah", then it was back to playing. This morning the recorder wasn't at hand, so he treated us to a piece played on the toy screwdriver instead, with him humming the pitches he thought it should be making while holding it in his mouth like a recorder. That is so cute! What a smart kid he is. He's born to be a musician!